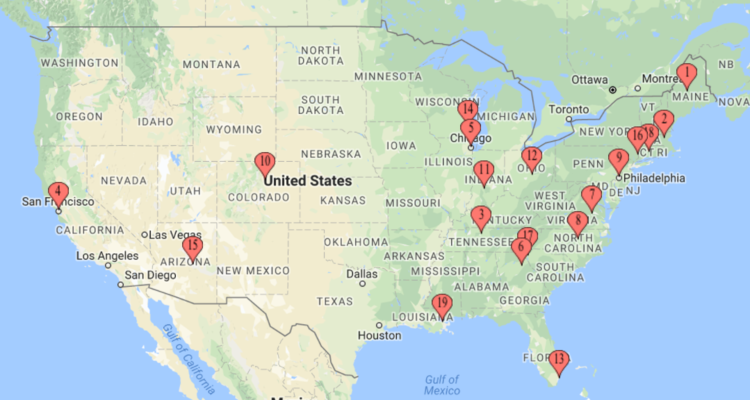 As of 2018, we've helped students across 19 states. Fill out the contact form below today. NOTE: Delehey College Consulting is an elite private college guidance firm. Our college acceptance history, testimonials, and praise since 2011 support this claim. Our goal is to provide customized one-on-one guidance to high school students & parents, something that is impossible at a typical public or private high school. We limit the number of students we work with each semester to an exclusive group of 25 students, allowing us to provide the best possible services for each and every student on a personalized basis. Students are vetted over the course of our first week free process in order to determine if they will have the self-motivation & drive to effectively utilize our support, guidance, and advice. Not every student will be accepted to our program. Only once a student is accepted to our program will an invoice be sent. Our prices reflect these aforementioned characteristics and are not suitable nor financially feasible for everyone. Response within 48 hours guaranteed, no exceptions.